DR. GARY CRAWFORD is a Co-Founder of Amazon Vision Ministries. He graduated from Southwestern Baptist Theological Seminary with a Doctorate of Ministry. Gary is an Emeritus Pastor at Westside Baptist Church and the founder of Gary Crawford Leadership, through which he currently does leadership coaching that empowers transformational growth. He is also involved in global mission work through Gary Crawford Leadership Global. Gary has served on the board of trustees for the Baptist College of Florida, the Florida Baptist Convention, State Board of Missions, and International Mission Board. He has served and led mission trips to Brazil, Argentina, Australia, Peru, Africa, England, Sweden, Russia, Asia, and Niger. JOE FINCHER is a Co-Founder and the Board Treasurer of AVM. He is a “retired” businessman who owned The Gator Shop in Gainesville, Florida. He is also a property developer with holdings in various parts of the state. Joe has been involved with AVM since his initial trip with Gary Crawford in 2002, and has been an integral part of facilitating the ministry of reaching the Amazon basin for Christ. MICHAEL ALLEN is a seasoned business owner and consultant who lives an unapologetically evangelistic lifestyle. He brings an entrepreneurial mindset to our ministry and loves the challenges and creativity that operations demands. Through his personal experience with international missions, Michael has learned that it takes a strong willingness and unwavering commitment to execute a shared vision. His passions for preaching, teaching, and discipleship make him an asset to our leadership team. He currently is pursuing a Master’s in Theological Studies at Southwestern Baptist Theological Seminary. BRIAN MIKELL is Chairman of the AVM Board and a 1982 graduate of the University of Florida with a B.S. degree in accounting. He is a CPA and has served as the Chief Audit Executive for the University of Florida since 2009. Brian is a deacon at Westside Baptist Church in Gainesville, Florida, is an active member of the Westside Choir, and has participated in 12 mission trips to Brazil since 2002, the last six with AVM. Brian became involved in foreign missions in response to the command from Christ in the Great Commission (Matthew 28:19-20). After his first trip, it was inconceivable that he would not continue serving Christ in this manner. 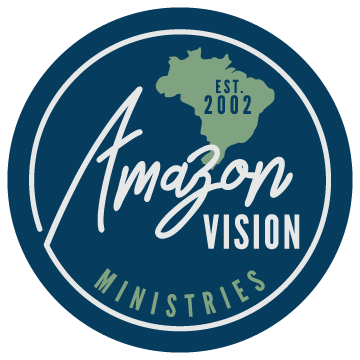 His personal hope and goal is to glorify God by being part of AVM’s mission to spread the Gospel and train disciples throughout the Amazon Basin. TIM McLENDON serves as Board Secretary. He is a staff attorney at the Center for Governmental Responsibility, a legal research institute attached to the University of Florida College of Law. He has worked closely with prosecutors and judges in many parts of Brazil, as well as other parts of Latin America, on comparative law training projects in areas of constitutional law, environmental law, mediation and human rights. In his private legal practice, he has also advised non-profit organizations on matters involving incorporation, organization, and securing 501(c)(3) status. 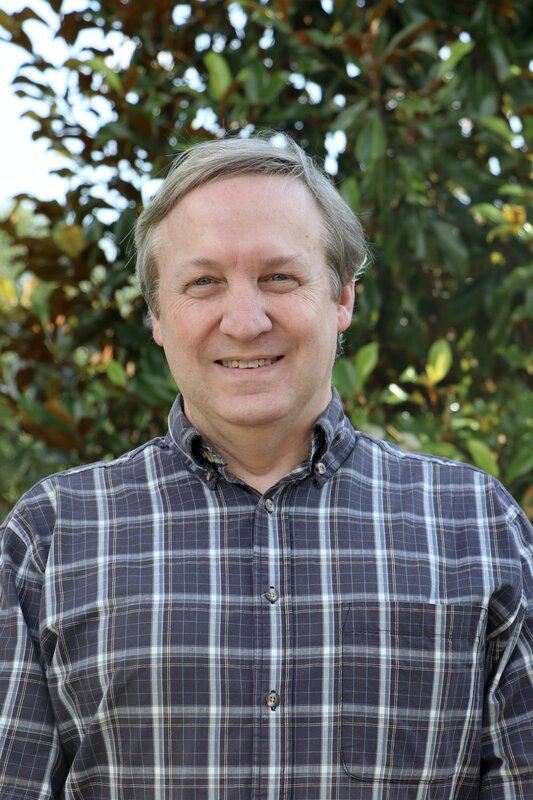 Tim serves as a deacon and teaches Sunday School at Westside Baptist Church in Gainesville, Florida, and has been active in the singles ministry. He has participated in various mission projects in Haiti, Florida and elsewhere in the United States. He and his wife, Amy, have been married for nine years. They have one daughter and just welcomed home their new baby boy. INGRID CRAWFORD has worked alongside AVM for over eight years and has served as a Board Member during the past three years. Ingrid has worked in the Client Relations industry for over 20 years, focusing her continued studies and work on understanding, improving, and creating exceptional customer experiences. In August of 2017 she joined Gary Crawford Leadership to help clients identify and apply their individual strengths in their ministry, career, and personal lives. Ingrid shares, “Visiting the west Amazon basin and meeting the Ribeirinhos people will change your life forever. The people are warm and welcoming and eager to learn about Jesus.” This warmth and love of learning drives Ingrid to strongly support AVM’s vision to bring the Hope of Christ to all of the Ribeirinhos. F. JAY FRICKER, M.D. is board-certified in general pediatrics and pediatric cardiology. He led the pediatric cardiology division at the University of Florida College of Medicine from his arrival in 1995 until 2014. Dr. Fricker was instrumental in establishing the UF Health Congenital Heart Center in 2006, serving as its medical director through 2014, and in making the center among the top congenital heart programs in the country. Dr. Fricker specializes in the nonsurgical aspects of pediatric heart and lung transplantation and on treating patients with pulmonary hypertension. His research has focused on immune- suppression strategies after heart transplantation in children. He is widely recognized for his expertise in pediatric heart/heart-lung transplantation. Dr. Fricker has been a visiting professor and guest lecturer throughout the country and world. Jay serves on the board of AVM and has participated in many mission trips to the Amazon, utilizing his medical expertise and training in treating patients along the river. STEPHEN GREGORY serves on the AVM board. He retired from Albertson’s Food Stores after 25 years of service, and recently retired from Publix Super Markets, Inc. His educational background includes studies at Gulf Coast College, Troy University and The Baptist College of Florida. Stephen and his wife, Brenda, have been members of Westside Baptist Church in Gainesville, Florida for over 32 years and are involved in various ministries. He serves as a Bible study teacher, World Impact Team member, mission leader, Decision Ministry Coordinator and Samaritan’s Clinic volunteer. Stephen is also a board member of Share His Love Missions. He has participated in and led mission trips since 1999, serving on multiple projects in Zambia, Kenya, the Congo, Sudan and Asia Minor. Stephen and Brenda have been married for 34 years, and have two children and 4 grandchildren. REV. PHILLIP HERRINGTON serves as Senior Pastor of the First Baptist Church of Live Oak, FL. He is a graduate of Mercer University and Southwestern Baptist Theological Seminary. Rev. Herrington has served churches in Georgia, Texas, and Florida in numerous pastoral capacities as well as on the Florida Baptist Convention’s State Board of Missions. He has led teams to Mexico, Brazil, and various places in the U.S.
Phillip and his wife, Cristina, have been married since 1997. Their daughter Emma is in high school and loves to dance. Their son Jack, whom they adopted from Haiti in 2012, loves Legos and soccer. RAY HOWARD serves on the AVM Board and is a Christian Businessman who formed Ray Howard & Associates, a Management Consulting firm, in 1974. He has been able to use that platform for many opportunities to tell others about Christ. He taught Sunday School and served as a deacon for the better part of 40 years. The reward of those years has been to see the young people he taught become church leaders of today. Ray has a passion for missions and has been on numerous mission trips. He has served for years on a committee of the International Mission Board with the main emphasis of taking the story of Jesus Christ to the Muslim faith throughout the world using electronic technology such as CD’s, Movies, TV and Social Media. Many have accepted Christ as the result of the ability to see and hear the gospel. Ray has also served as the Ambassador of The Baptist College of Florida for many years. He was awarded an Honorary Doctorate degree by the college in 2012. BILL LASSITER has served on the AVM board in various capacities since 2007. He is an Account Manager at OEC Business Interiors, Gainesville, Florida and is a charter member of Westside Baptist Church, which his parents helped found. Bill teaches an adult Sunday school class at Westside, and has been involved in working with the children’s ministry, RAs and Vacation Bible School. He is also very active in the Prayer Ministry at Westside. Bill has been on eighteen mission trips to Brazil, working with AVM on sixteen of those trips and serving as a team leader five times. Bill is married to BJ, and they have five children. SHERRI LEE has been involved with AVM since 2008. She has served on ten mission trips to Brazil and has also done ministry in Cambodia and Ecuador. She attends Wellborn Baptist Church and lives in Lake City, Florida. 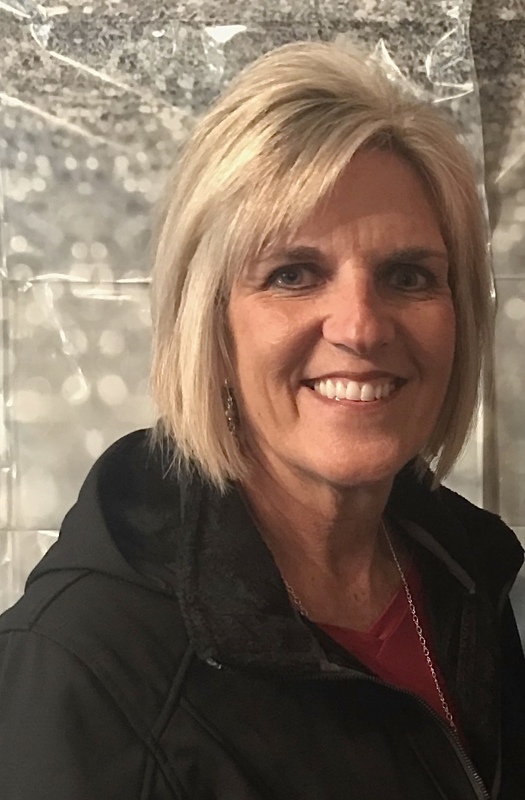 She has served in the Awana program, helped in the youth ministry, and has chaperoned numerous youth events and camps. REV. STEVE LOY serves as Pastor of Spruce Creek Baptist Church, located in Port Orange, Florida. He is a graduate of The Baptist College of Florida and Jacksonville Baptist Theological Seminary. Steve has served churches in Florida and New York as pastor, church planter (NAMB), and young adult, college, and youth pastor. He has acted as moderator for the Halifax Baptist Association and has also been involved with the Florida Baptist Convention in various facets. He is an AVM board member and has led mission teams to Brazil and various places in the U.S.
Steve and his wife, Leah, have been married since 1993. Leah has worked for the Florida Baptist Convention and is now a teacher with VIPKID and teaches children in China, virtually, how to speak English, using the content areas. She loves serving God as a teacher. Their daughter, Hannah, is in high school and loves singing and going on mission trips to Brazil. She has surrendered to God’s call to be a missionary and one day hopes to be on the mission field in Brazil. RANDOL SCHRIMSHER was born and raised in Orlando, FL. He grew up attending First Baptist Church of Orlando and graduated from The First Academy. Randol has served on many mission trips. While working with The JESUS Film as a technician, he recorded audio for the film in languages from the Philippines, Togo, and Cameroon. Both he and his wife share a passion for missions, and together they have served on mission trips to India, Cuba, and Ireland. He is excited to now serve as a Board Member with AVM. His interests include computers, technology, and design. The greatest passion in his life is his family, and he is thrilled to announce that he and his wife just gained a new addition by adopting a newborn baby girl. MIKE TAYLOR is Minister of Missions at Westside Baptist Church in Gainesville, Florida, where he has been on staff since 2012. He and his wife, Mary, along with their three children served as church planters in Oregon from 1999 until 2012. Mike is also an adjunct professor in the missions department at the Baptist College of Florida. 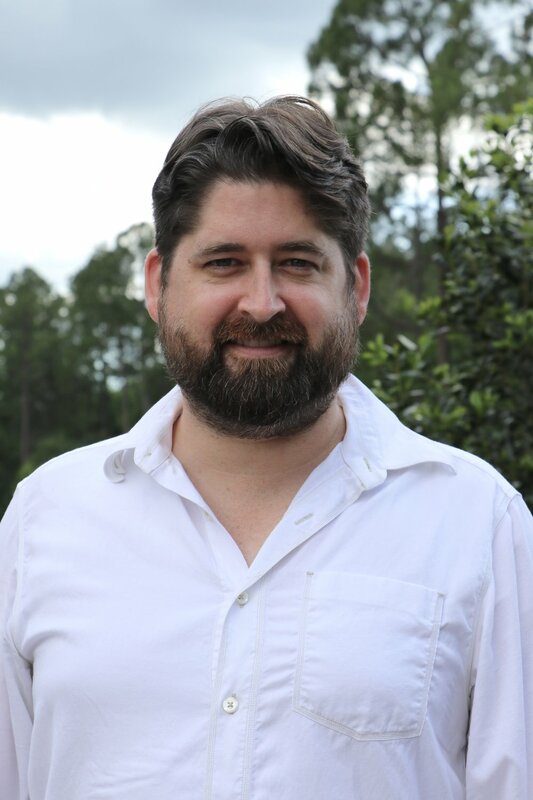 He received a Bachelor’s Degree in Music Education from Florida State University, and received a Master’s Degree in Religious Education from Southwestern Theological Seminary. Mike has served on the AVM board for approximately three years. PASTOR ELI PERES is the child of missionary parents and was born in an indigenous tribe in the Amazon. He studied at a missionary school in his youth, where he learned English. Eli worked on the river alongside his father for several years before attending seminary in Recife, Brazil. It was there he met and married his wife, Silvana. They spent 20 years living among another indigenous Amazonian tribe while working with New Tribes Mission. Eli has been with AVM since it’s start in 2002 and plays a vital role to maintain the AVM boat, guide team’s work along the river, provide Biblical training to new believers, and maintain contact with local pastors after teams leave. Eli and Silvana are passionate about the spread of the Gospel and share that it has been a challenge and blessing to their lives to work with AVM. They have one son and are excited to welcome their first grandchild later this year. CORRIE AULT SILVA is a missionary kid who grew up in Brazil since the age of seven. Her parents worked with Mission Aviation Fellowship (M.A.F. ), and her dad flew out of Boa Vista, RR, to support the missionaries in the isolated areas of the Amazon who were working with Indigenous groups. She stayed in Brazil for college and graduated with a Bachelor's Degree in tourism. After college, she worked with AVM for a few years, then left to open her Simultaneous Translation company, CE Traduções. She offers this service to a variety of areas, from the industrial district, to embassies, environmental organizations, and the World Bank. In 2013 she returned to AVM and works part-time to manage team logistics out of Manaus. She feels that AVM is a great fit for her, because while she feels no specific calling for front-line work, she does for behind-the-scenes and organizational support.